A bright and colorful kitchen is a powerful thing, having an influence on our moods, emotions, and even on our food cravings. Your kitchen is your special place to showcase your personality and tastes, and can be a direct reflection of the energy and environment that exist inside of your home. 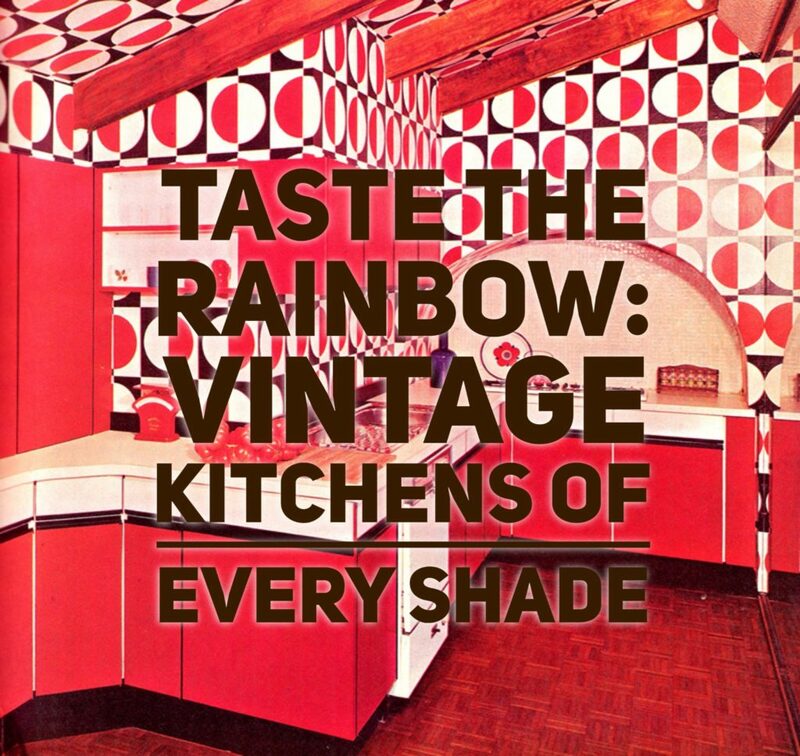 The 50's, 60's and 70's were a colorful time for kitchens everywhere, with each decade showcasing their own unique identities through wacky shades of colors and kooky variations of design. A colorful kitchen is timeless, and can bring a smile to your face every time you walk in the door. The color you choose to decorate your kitchen will say a lot about your personality, although different shades can mean different things for different people. 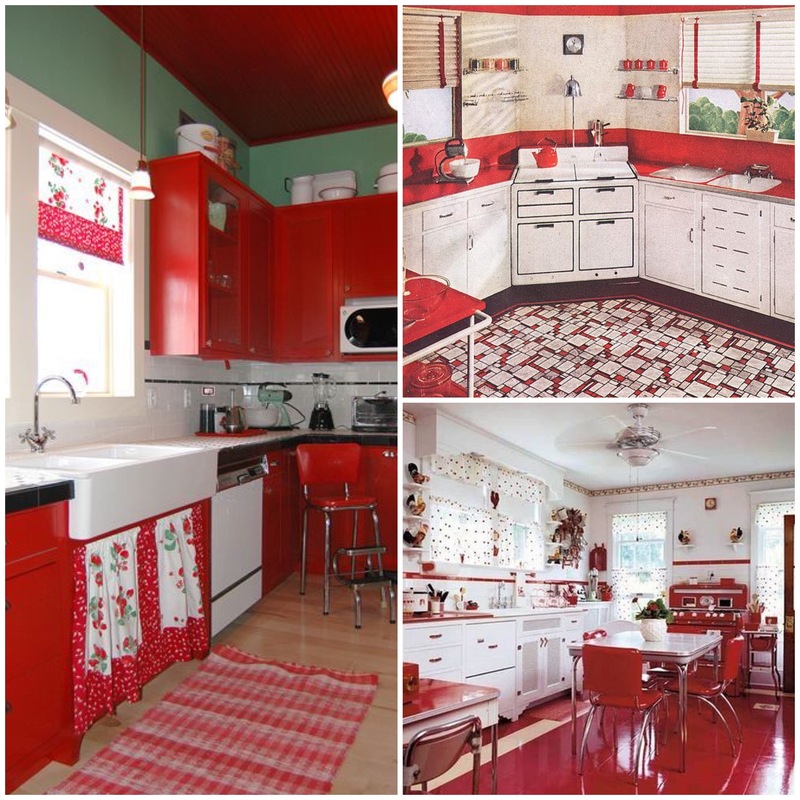 Does that cherry red kitchen express your bold sense of adventure and rebellion, or do you just like Coca-Cola? Do your pale yellow cabinets show your mellow and kind-hearted view of the world, or does it just help you wake up on those groggy early mornings? Does a green kitchen express your love for the environment, or simply help you make healthier eating choices? Only you can truly decide. Although updating a kitchen can be a big commitment, sometimes a simple freshen up is all you need with the addition of a colorful appliance or a slick new coat of paint. Looking to bask in that kitchen makeover glow? 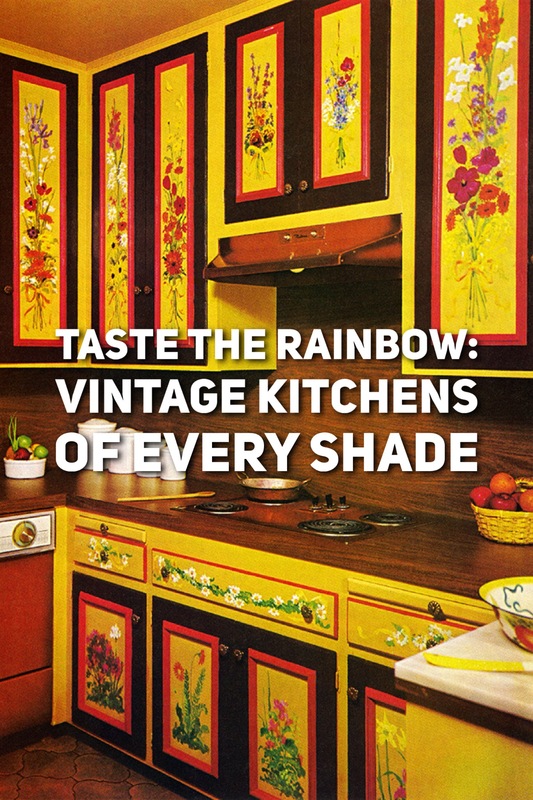 Whatever your color inspiration or influence, here are vintage kitchens from every shade of the rainbow. 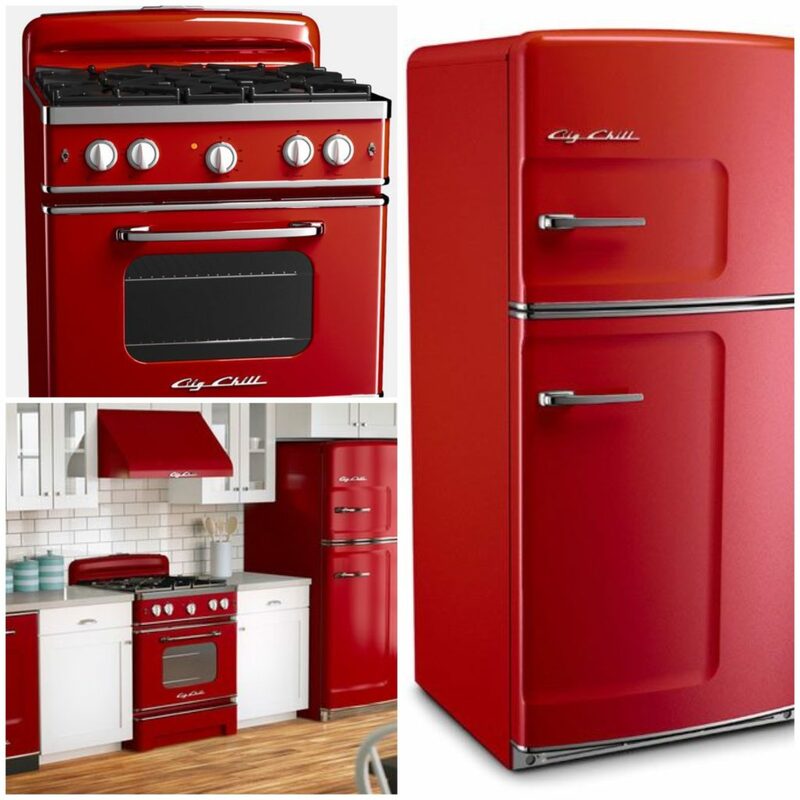 Red is a timeless accent color that will always get your kitchen the attention it deserves. The 1940's and 50's brought red to the forefront with cherry colored everything, from kitchen tables to Coca Cola clocks to cabinetry. In the '50s, paint colors were available for the first time in any hue you could think of, and red as a color scheme was huge. Red as a decorating color represents power, strength, and courage. Not afraid of a cheerful dose of color? 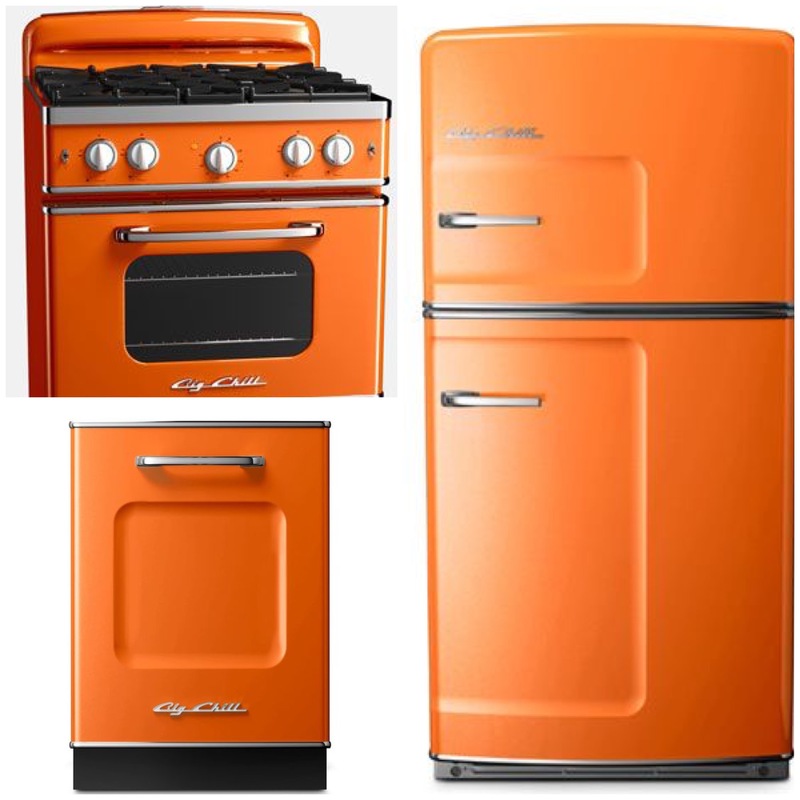 The 1960's and 70's introduced the use of loud and in-your-face orange shades to kitchens everywhere, manifesting in countertops, cabinets, and cookware. 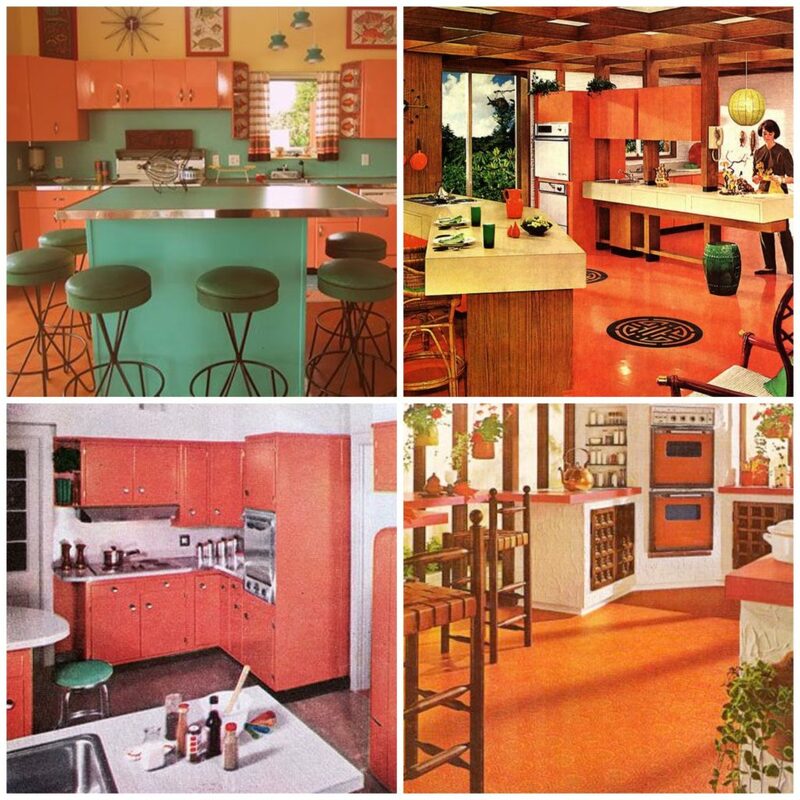 In the 1970's, orange was commonly paired with terra-cotta tiles, hanging plants, and exposed ceiling beams for that perfectly warm and groovy kitchen. Pale yellow was an extremely popular color scheme in the 1950's, with pastel colors being a popular pick for cabinets, appliances, and wallpapers. 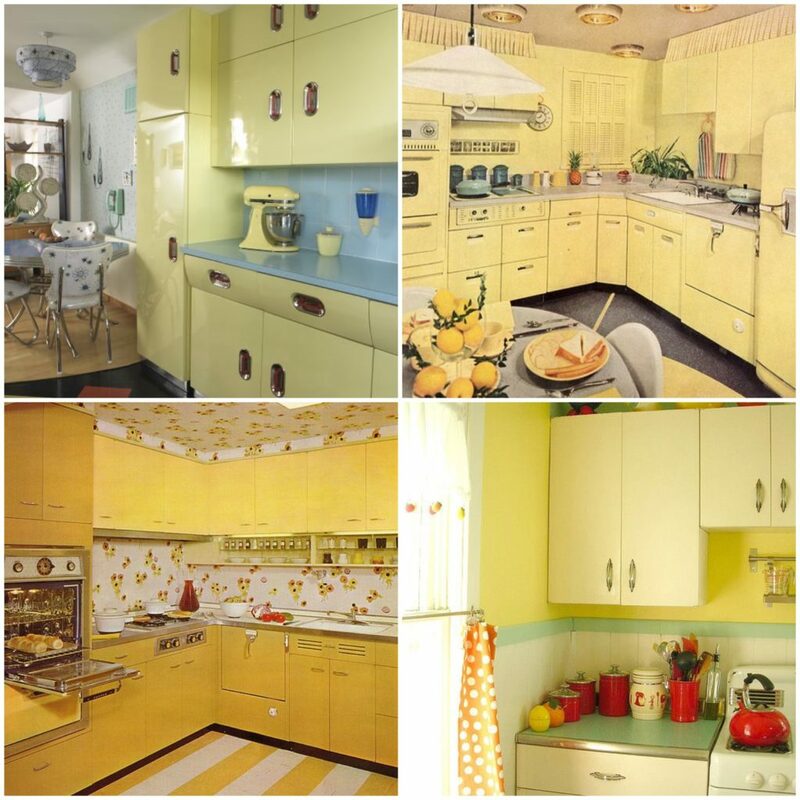 Vibrant and mustard yellows were introduced in kitchen decorating schemes later, providing bolder backdrops for the radical changes of the 1960's and 70's. 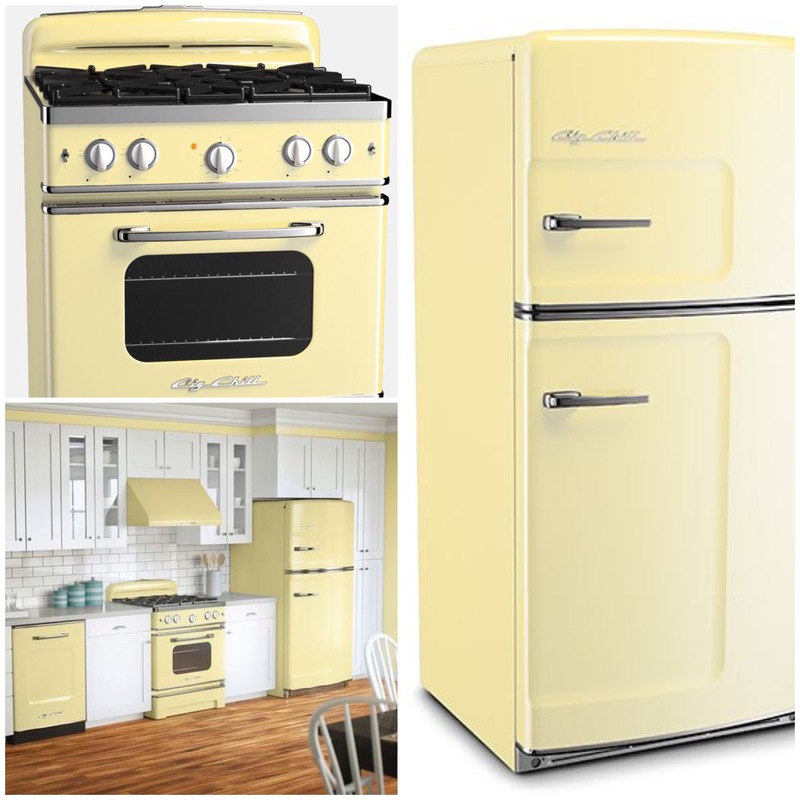 Yellow is the color of optimism, and can be a healthy addition to any kitchen. Mint green was another popular pastel color that was ubiquitous in kitchens of the 1950's. 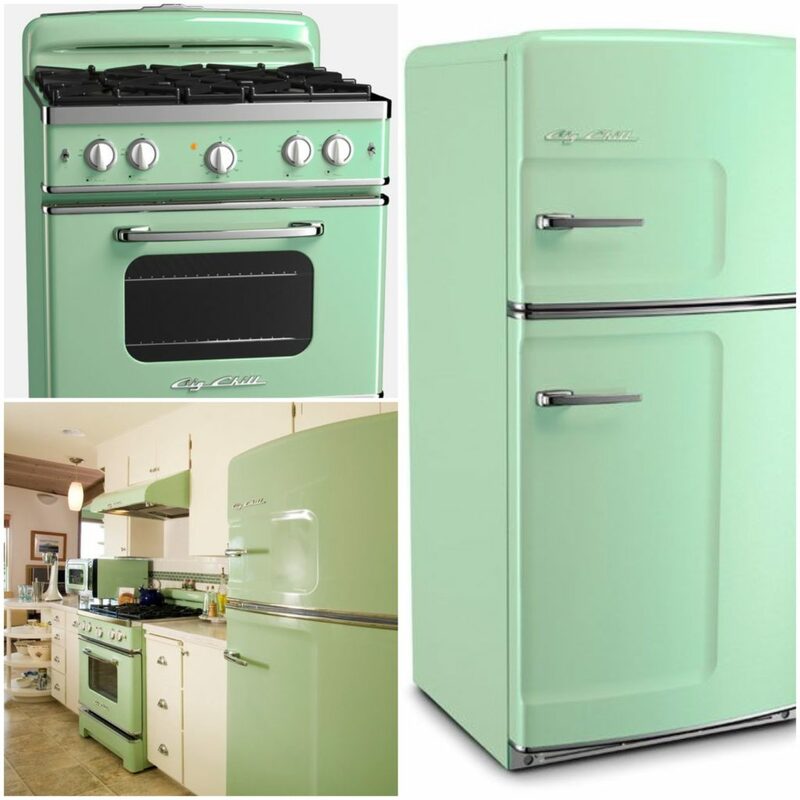 It was not unusual for countertops, flooring, appliances, and cabinetry to all be decked out in this minty hue. 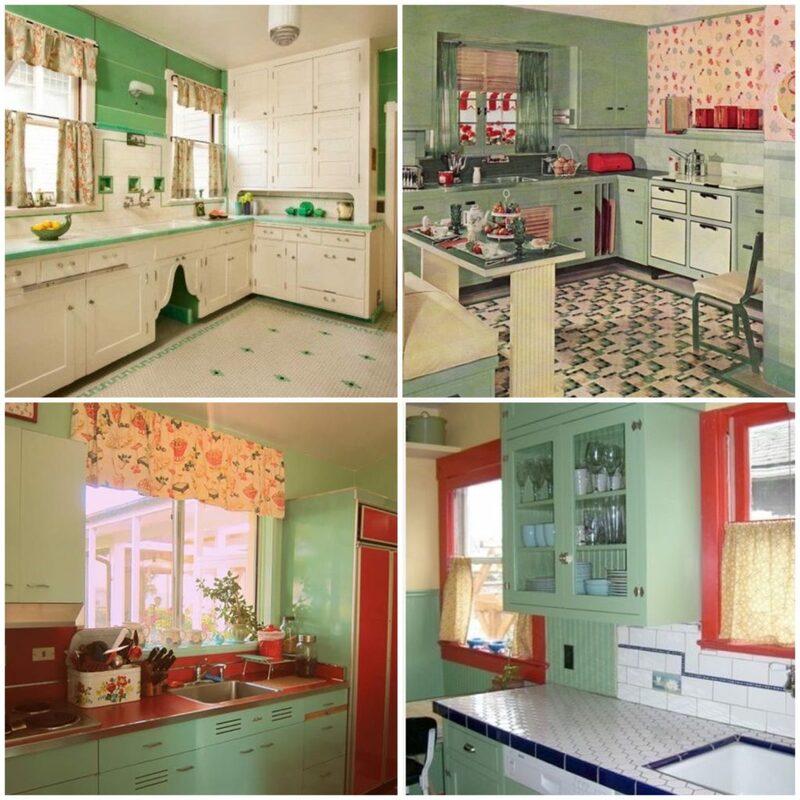 Greens became bolder and darker in the 1960's and 70's, with avocado green being one of the top decorating schemes of the times (for better or for worse). Green is the color of balance, and can do wonders for your home. 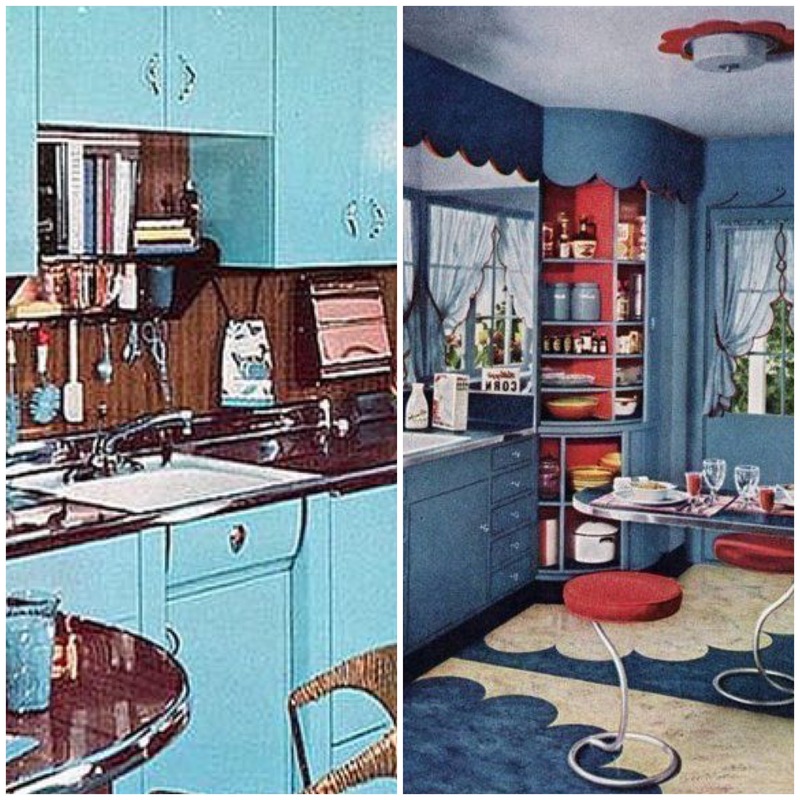 Pastel blue began making a regular appearance in American kitchens following WWII, and turquoise was an extremely popular color scheme in the 1950's. Later decades produced either funkier or more muted shades of blue, representing the moods of the then current culture and times. A pop of blue is a soothing and refreshing addition to any kitchen. Ahh, pink. 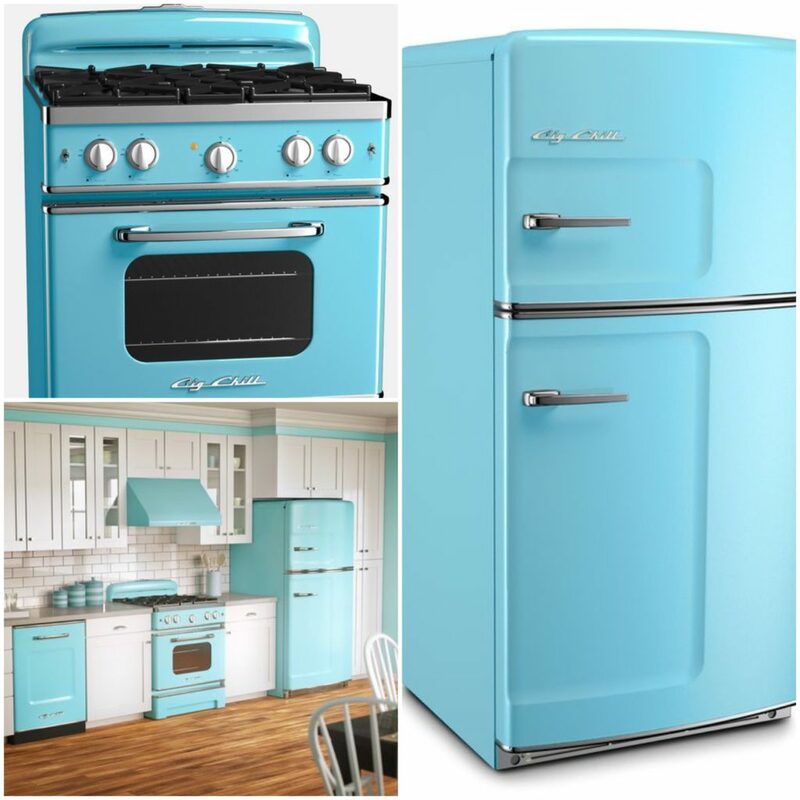 Not just for girls but certainly a popular color choice in the kitchens of women everywhere. 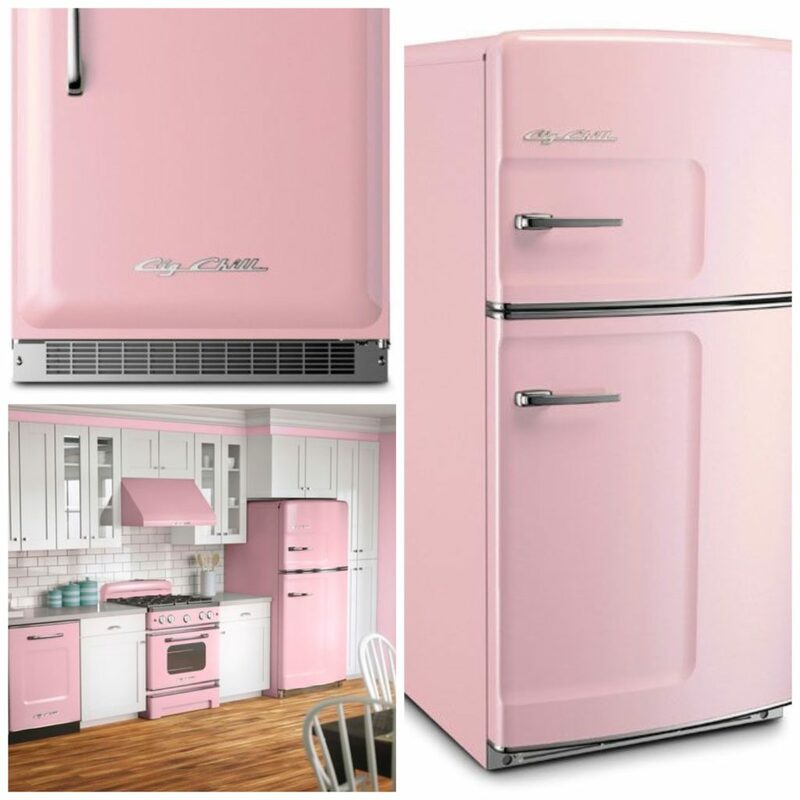 The 1950's introduced the use of pale pink, adding a romantic blush of color to appliances, cabinets, countertops, and wallpapers. 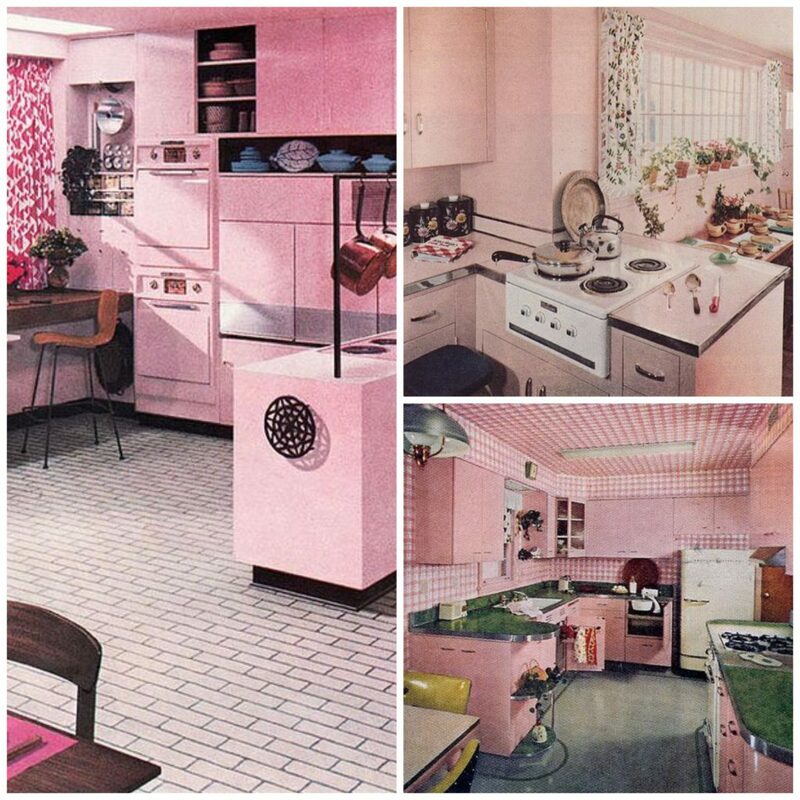 The addition of the color pink to your kitchen invokes feelings of romance, warmth, and femininity. 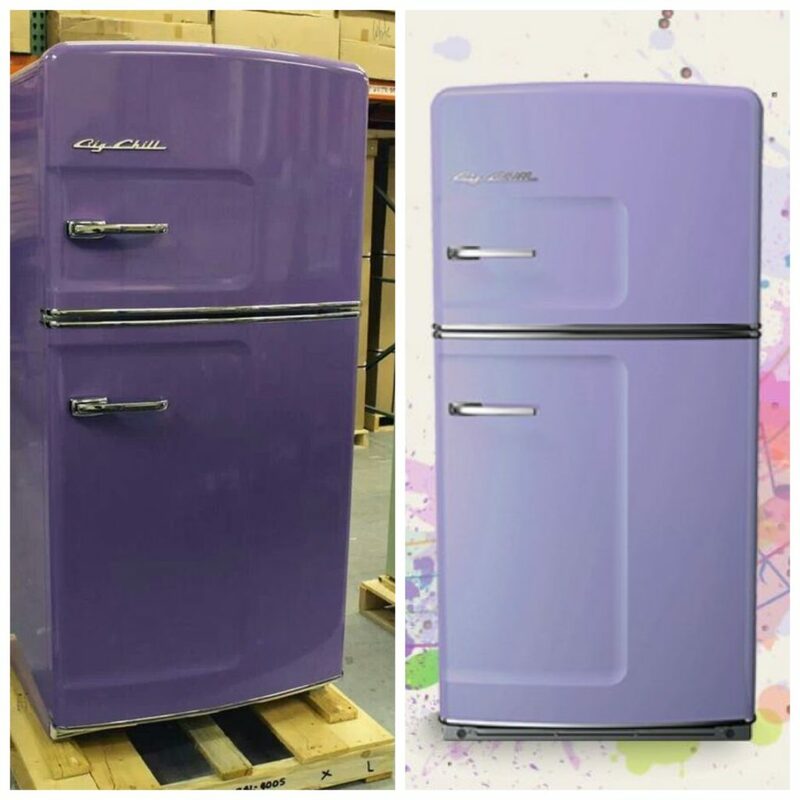 While purple isn't the most common shade in kitchen decor, it is certainly fabulous, and the inclusion of pale lilac was popular in kitchens of the 1950's. 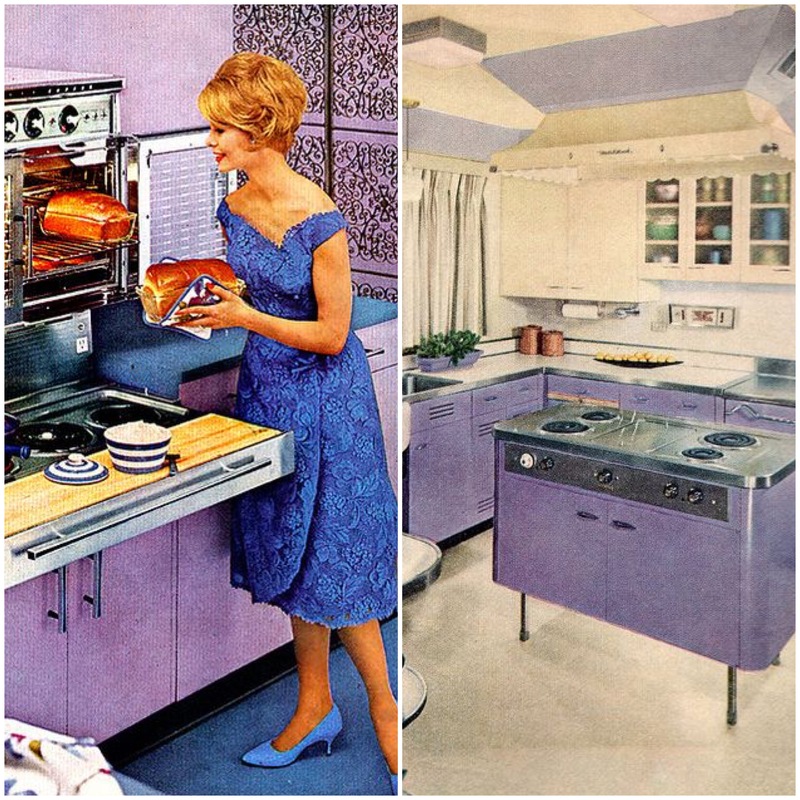 The 1960's and 70's brought deeper shades of violet and eggplant, usually showcased in kitchen accessories like floor rugs and place settings. Like this guide? Re-pin the image below to share with family & friends.